Q: Is this HID conversion kit water proof? 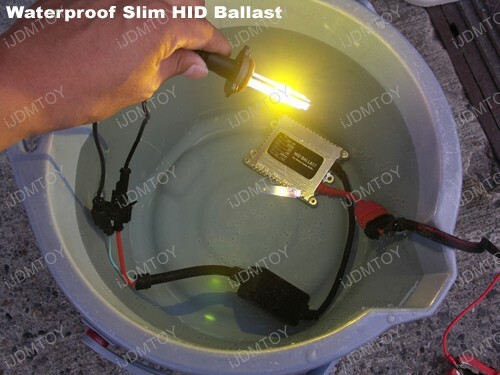 A: The ballast and igniter are 100% water proof, but the HID bulbs must be installed inside a sealed housing. 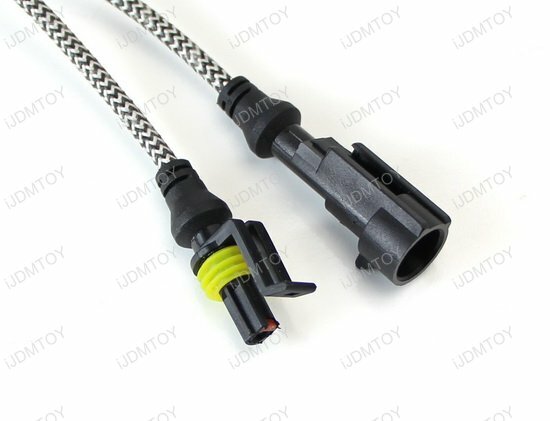 Q: Will this HID conversion kit fit my car? Q: Will I have to modify my car to fit this HID conversion kit? Q: Do I need anything else to install the HID conversion kit? A: The kit comes with all the important components for installation such as the HID bulbs, HID ballasts, and basic wiring. 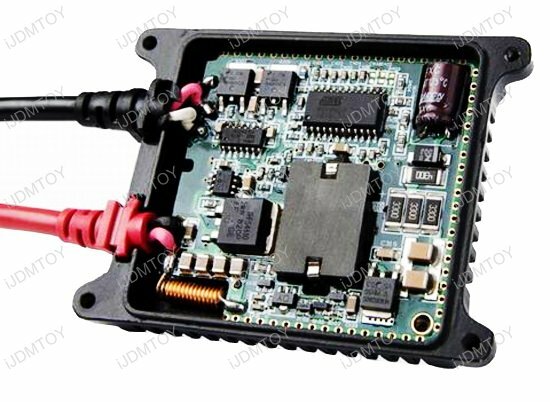 Additional components such as relay harnesses, decoders, and/or HID bulbs holders/adapters may be required for certain car, to determine if you need it, contact us and we'll assist you. 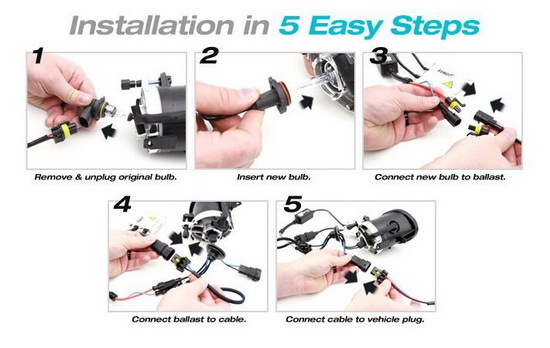 Q: How do I install the HID conversion kit onto my car? 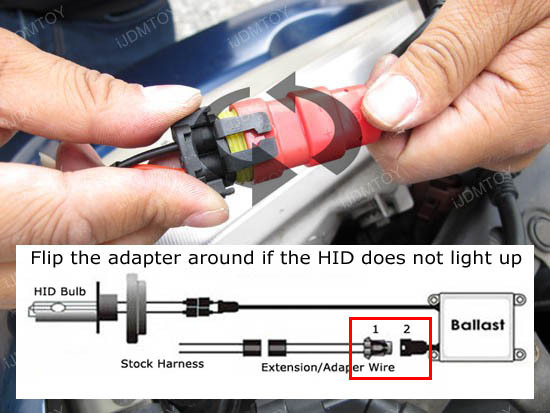 A: We have this HID installation guide, please take a look. Q: I have just installed the HID conversion kit, but one side does not light up? A: Most likely the polar issue, please flip the adapter 180 degrees and try again. Q: Do you carry 55W HID Conversion Kits? A: No, we do not carry 55w HID Conversion Kits because they have too many problems such as overheating, melted harnesses, and unreliable components. Q: Are your HID Conversion Kits AC (Digital) or DC (Analog)? 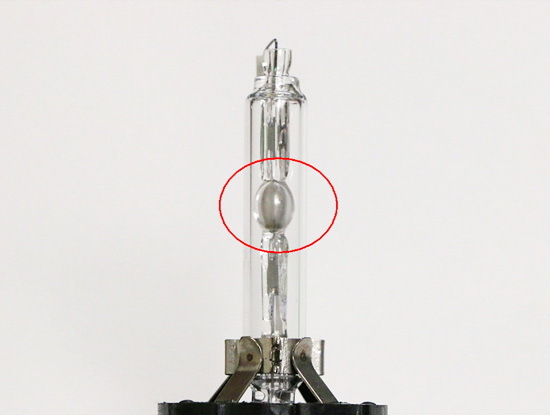 A: Bi-Xenon HID Conversion Kits change both the high beam and low beam lights to HID; this is available for the 9003/H4, 9004/9007, and 9008/H13 bulb sizes only. Q: Can I use your HID Conversion Kit with my daytime running lights? A: Typically, no. Most daytime running lights usually operate at 6-8 volts and HID lights require 12 volts to operate properly. We only recommend using our HID conversion kit with 12 volt systems only. 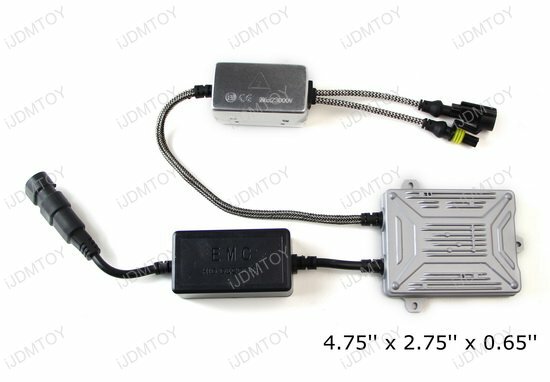 Our iJDMTOY 35W Ultra Slim CAN-bus Digital HID Ballast is perfect for replacing an existing ballast from an old Xenon Headlamp Kit that has stopped working or providing power to a some HID bulbs you have laying around that you want to use. Our Ultra Slim Digital HID ballasts have an embedded electronic chipset that regulates the electrical current to make sure the input to the HID bulb is stable at all times which helps improve the HID bulb's lifespan by 30%. Our ballasts also feature the best and latest reverse polarity protection and shock protection system which reduces installation issues and improves longevity. The installation is virtually fail-safe and is plug and play. Picked this up for an 04 Subaru Impreza WRX STI, nothing wrong with the product at all but oh my lord, is that head light work to take apart. 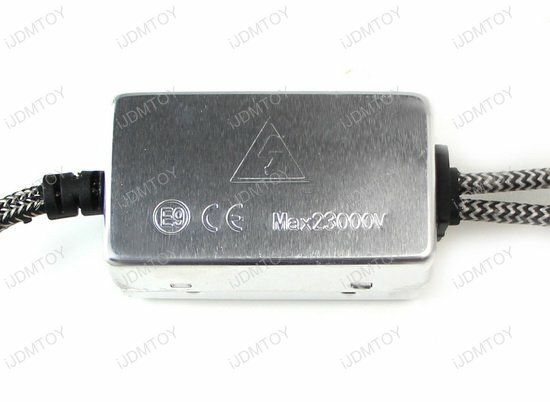 I have had this D2R HID ballast installed on my Subaru for over 11 months no issues.